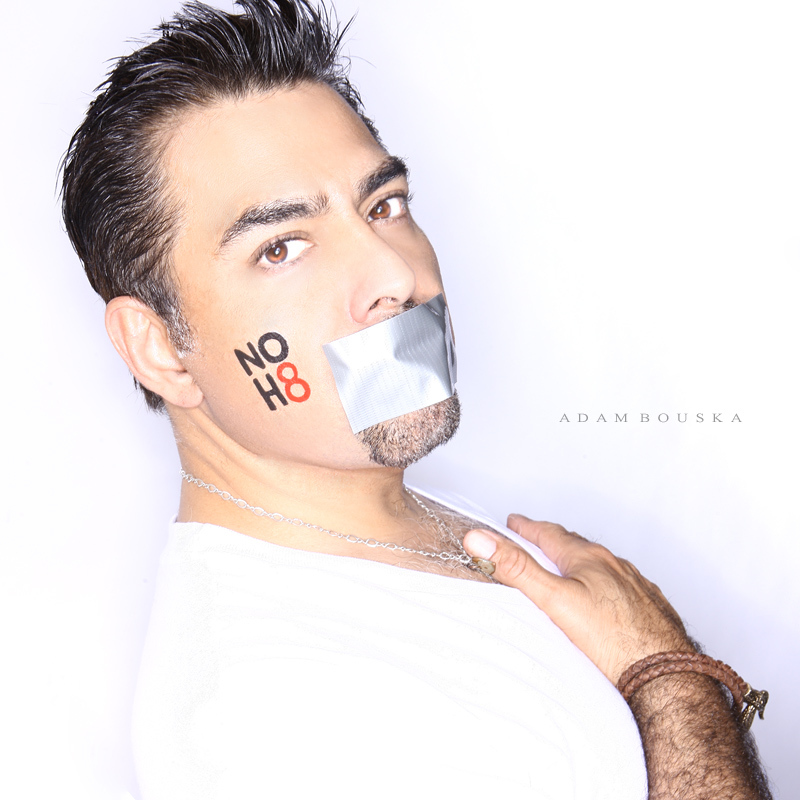 NOH8 Supporter Rick Caroto, who has been working with the national tour of hit Broadway musical In The Heights over the past several months, reached out to NOH8 Photographer Adam Bouska after the tour arrived at the historic Pantages Theater in Los Angeles to see if they might be able to work together. As evidenced by the photos below — they were! “In The Heights” is the hit Broadway musical celebrating culture and community, exploring the common ties that unite us as human beings. Set in the New York City Dominican-American neighborhood of Washington Heights, In The Heights features a diverse cast and a unique soundtrack that won the show two 2008 Tony Awards (for Best Musical and Best Original Score). 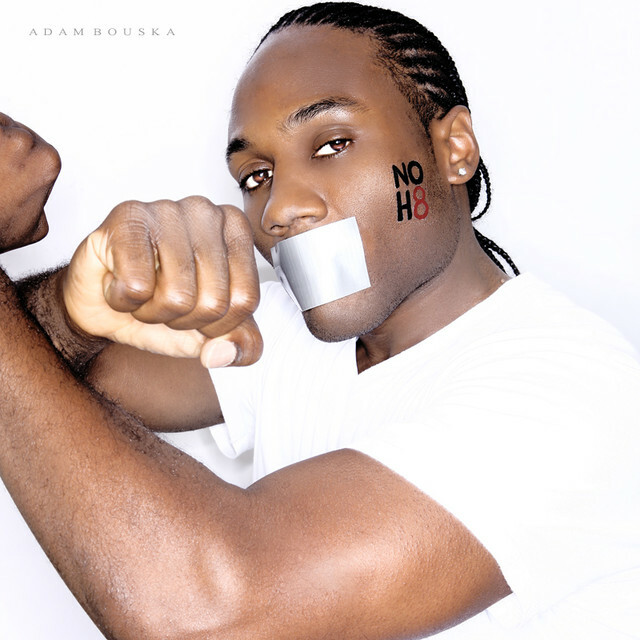 Many of the themes explored throughout the course of the story reflect lessons the NOH8 Campaign can truly stand behind, from the unexpected discrimination and subsequent struggle a budding interracial couple finds themselves up against to the diverse neighborhood coming together as a whole and fighting to be heard. 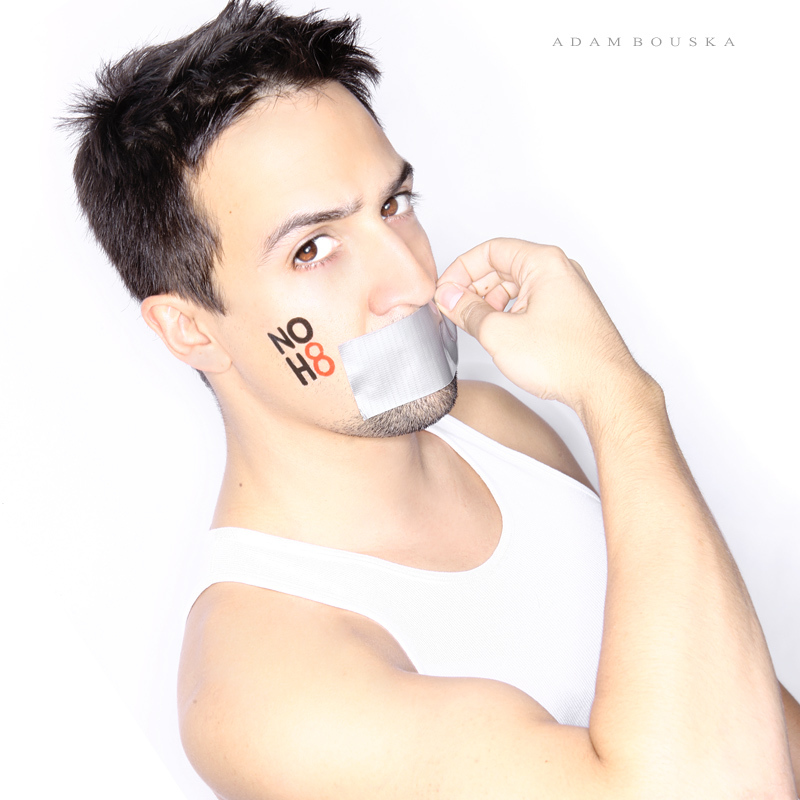 Creator and Lead Lin-Manuel Miranda (Usnavi) was joined by a number of other featured cast members in posing for the NOH8 Campaign in-between their final performances, sacrificing their own limited break time to have the NOH8 temporary tattoos applied to their faces in protest backstage. 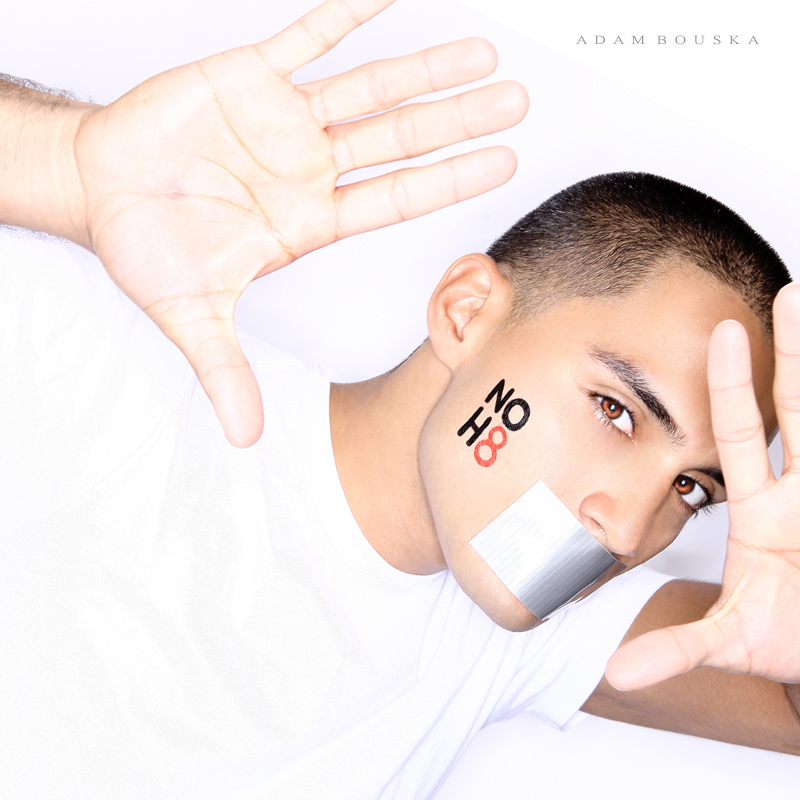 A group of the Ensemble Cast Members took the time to have their NOH8 portraits taken as well, including Carlos Omar Salazar, Christina Black, and DeWitt Cooper III. Read more about Rick Caroto’s NOH8 Experience first-hand by checking out his ‘Why I Posed’ story in the BE HEARD Section of our website. You can pull up your favorite In The Heights Cast Photo in our Familiar Faces Gallery, or click directly on their names in this post to be brought directly to their portrait. 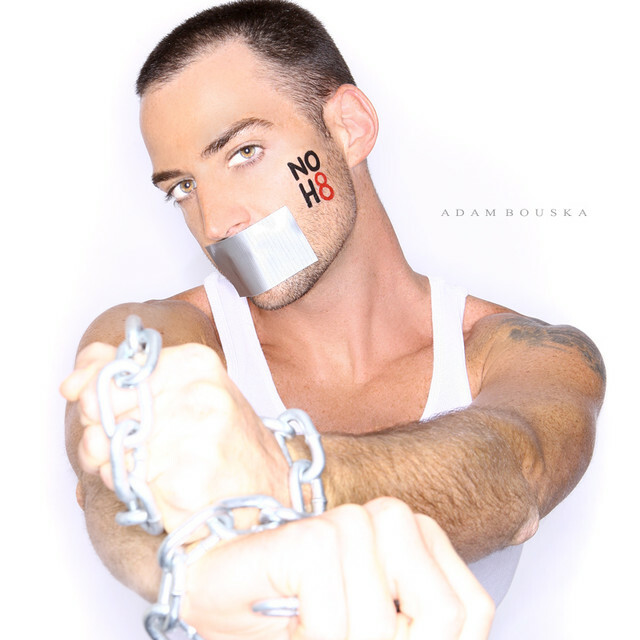 OMG Adam your website is poetry in pictures!!! 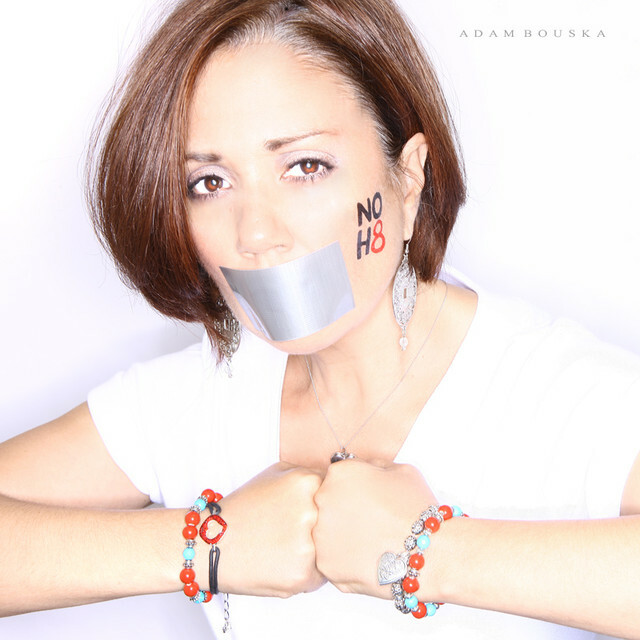 This is such a breath taking website that I look forward to seeing more of your work!!! Keep the message going for all the world to see!!! 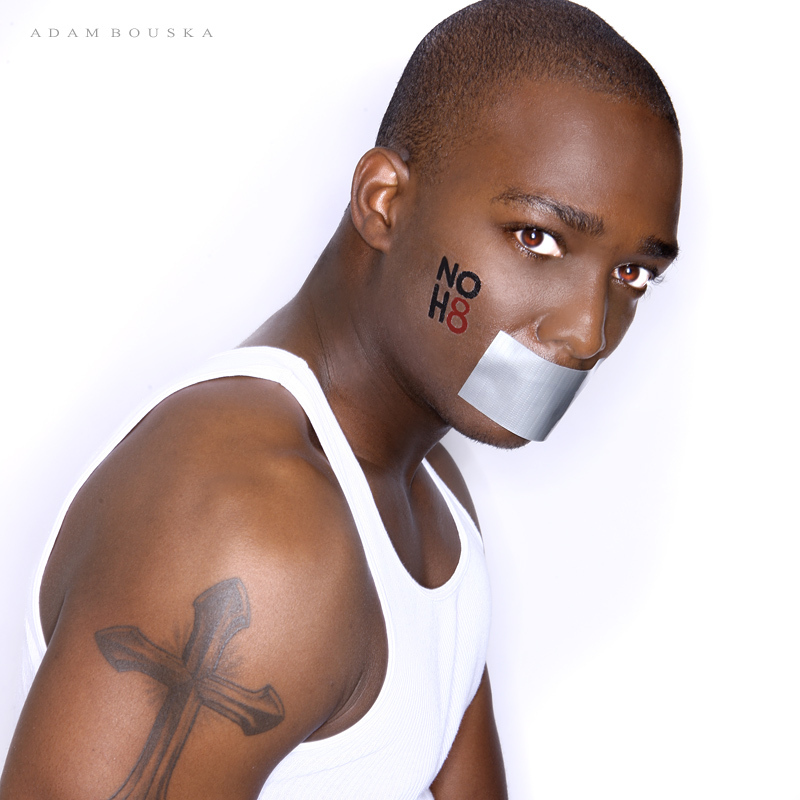 How do I get you to take my pic for the NO H8 campaign? I'm telling that soon half of the world has been in front of Adam's lens. That's the spirit! Keep up the good work. ORyZSN As I have expected, the writer blurted out..! sTRCwx You have made some good points there. 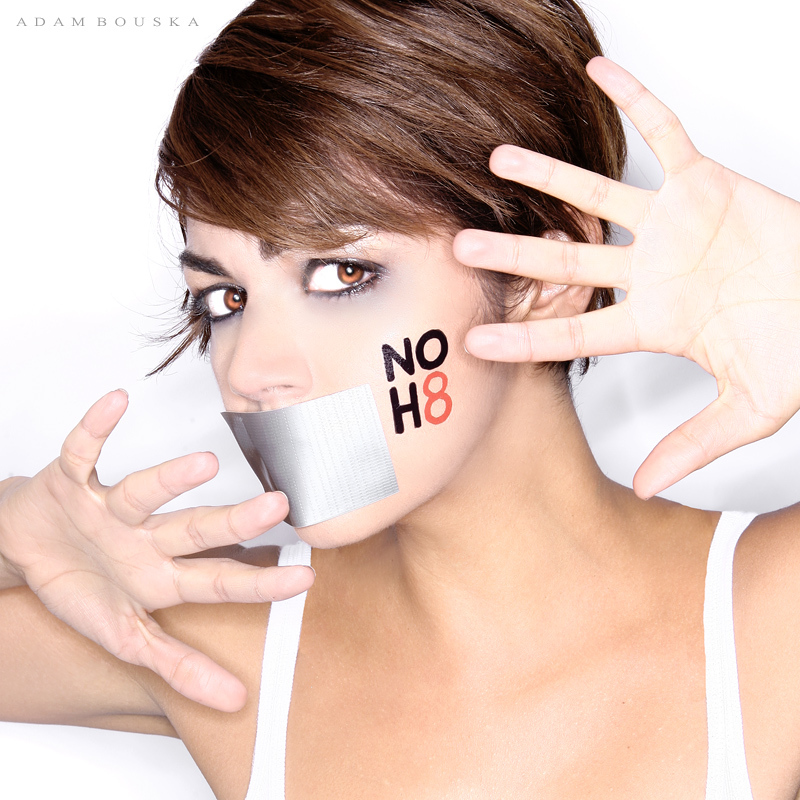 I looked on the internet to find out more about the issue and found most people will go along with your views on this site.